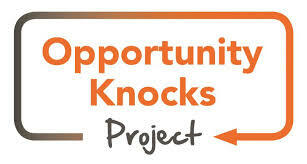 The Opportunity Knocks Project is a National Lottery funded initiative that runs Opportunity Knocks Timebank where people can share their skills, knowledge and experience. For every hour you help someone else you earn an hours time credit that you can use to engage the skills of another member. We also run lots of social activities in various locations across the city which are free to attend. We also run support groups for Mental Health Carers, ex-carers, people living with Type 2 Diabetes (Diabeaters) and people living with long term health conditions. Ok Growers is a gardening project that not only tends an allotment space in St Budeaux but also helps people who are having difficulty in maintaining their own garden. For more information about any of these activities or groups please email OKProject@colebrooksw.org or call 01752 211243.